Tampa Airport limo service provides you and your party with a luxurious ride to the airport as you catch your flight or go provide a surprise pick up for a family member or loved one. No matter where in Hillsborough County, Florida you may reside in you can rely on us to provide you with professional service. Reserve any of our Tampa Airport limo rentals for a one way trip or three hour rental. You can select from any of our different Tampa limousines to help you find the right vehicle for hire. Whether you need to reserve our 8 passenger, 14 passenger, or 20 passenger Tampa limo rentals we have you covered. Sit back and enjoy the ride in the leather interior seating and surround sound system as we make our arrival. If you need transportation service from Clearwater, St Petersburg, Palm Harbor, and anywhere around the Tampa area we have you covered. With our Tampa Airport limo service we can provide you with a ride home or to a hotel near the airport. Make a reservation for one of our Tampa Airport limo rentals today and reserve an affordable transportation service that can provide you with on time arrival at the Tampa International Airport. Conclude your wedding reception with a ride to the Tampa airport provided by our professional chauffeur service. Turn on our large LCD screen located in the back of the Tampa limo or listen to your own custom playlist with your MP3/IPOD player. Plan a family vacation and surprise the family with a ride to the airport in one of our luxurious Tampa limousine rentals. Enjoy our leather interior seating as we take you from the Tampa Airport transfer to Tampa Port. Arrive on time after a long flight as you get ready to enjoy your cruise off the Tampa Port. Once you have returned from your cruise our professional chauffeur service can provide you with on time pick up and provide you and your party with a return trip to Tampa Airport, your home, or to a hotel you may be staying at. With our Tampa shuttle service you can rely on us to provide you with a clean and affordable ride in a luxury Tampa limo rental. Reserve our Tampa Hummer limousine which sits up to 20 passengers inside providing everyone a very comfortable and roomy ride. 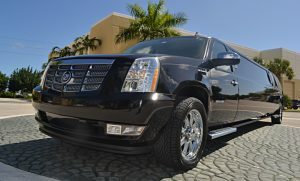 Our Escalade Tampa limousine can sit between 12 to 14 passengers in this attention grabbing vehicle. Our Tampa Chrysler 300 limo sits up to 8 passengers providing you with a more personal ride for you and your family or significant other. If you are wondering where the luggage is going to be we will provide an attachment to place the luggage into so it does not take space within the vehicle. 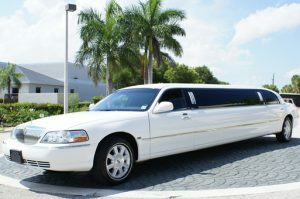 If our Tampa limo service is not what you need also check out our fleet of Tampa shuttle buses. From a 14 passenger limo bus, 30 passenger party bus, or our 40 passenger charter bus we have you covered. No matter the size of your party we can provide you with a quote in seconds on any of our Tampa vehicles for hire.